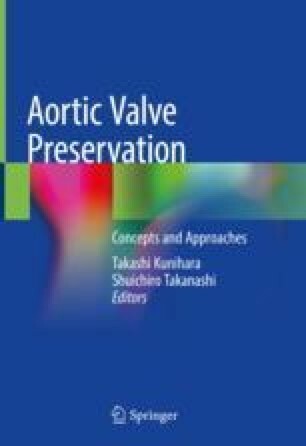 Nowadays, when we consider the favorable long-term outcomes of biological valves, we automatically focus on young patients when discussing the main indications for aortic valvuloplasty (AVP). Many young patients, and particularly women, find the concept of minimally invasive cardiac surgery (MICS) desirable from a cosmetic perspective. When compared to midline incisions, MICS does not reduce the rates of mortality or major complications, so the main reasons for performing MICS are for cosmetic reasons and the need for early return to daily activities. As a rule, it is therefore desirable to determine the indications carefully.